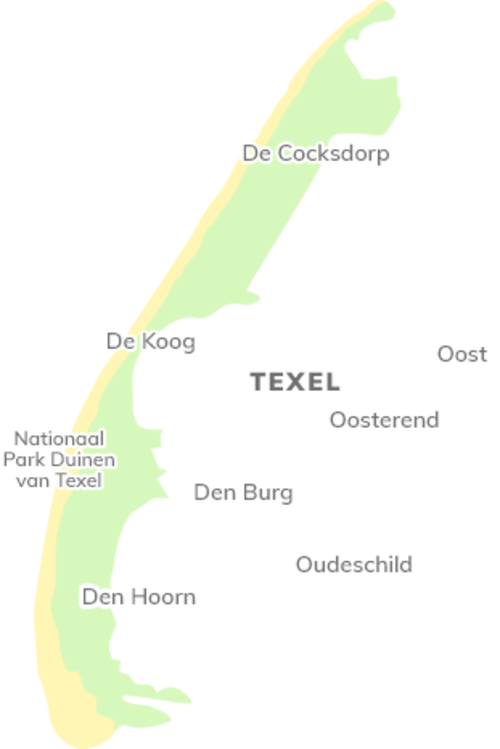 Hotel Molenbos is situated in the northernmost part of Texel, right by the North Sea, the Waddenzee and Golf Course De Texelse. 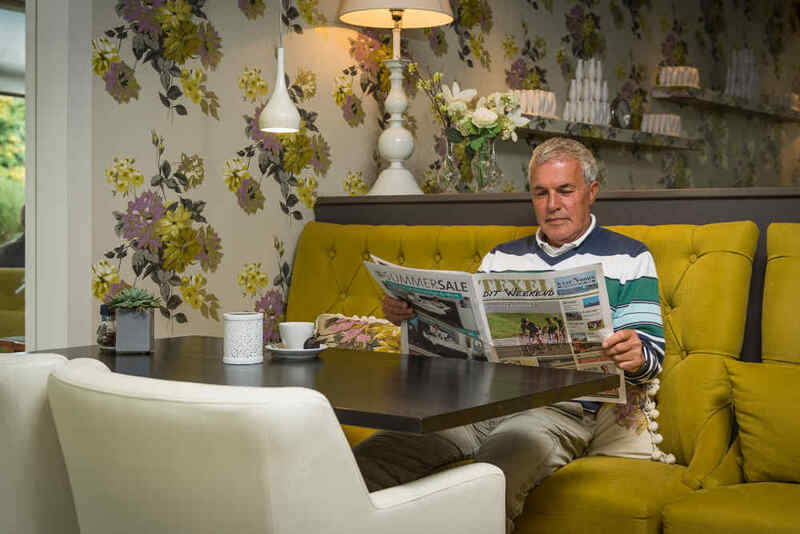 The spacious, fully refurbished hotel rooms of this stylish 3-star hotel come with smart TV and free Wi-Fi! 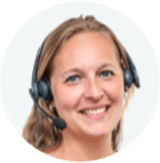 Hotel Molenbos receive a 9.2/10 based on 3523 reviews. 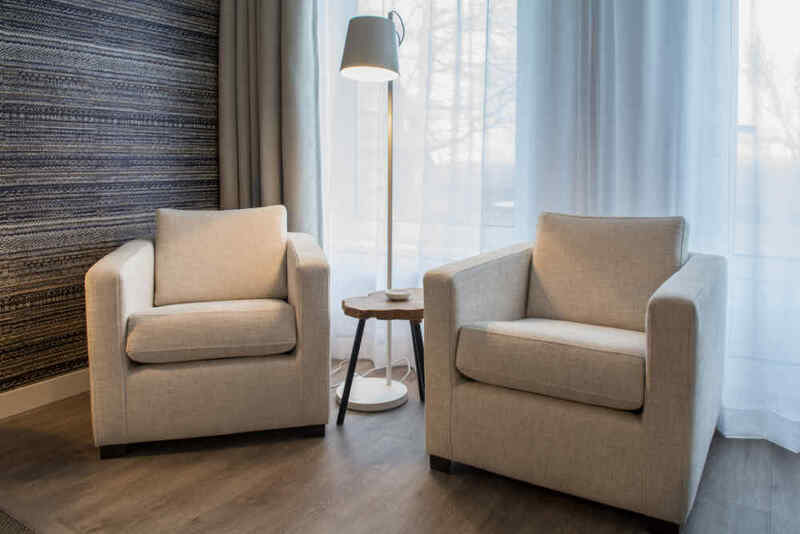 Hotel Molenbos offers 27 rooms and a stylish, modern décor. All rooms are spacious and very comfortable, equipped with all modern conveniences so you can really relax during a ‘night away’. Facilities include a flat-screen smart TV, radio, safe, coffee- and tea-making facilities including kettle, and a fridge. If it’s sunny, you can enjoy sitting on your own balcony or terrace. TIP: There is 1 specially-adapted room available for disabled guests. 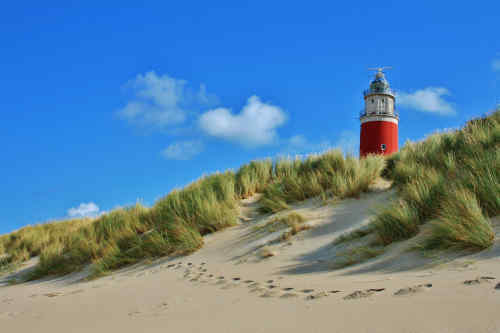 From the hotel, you can go on wonderful walks or bike rides, for example, to the lighthouse, beach and dunes of Texel. Enjoy the stunning natural scenery in nature reserves De Slufter, De Muy or bird sanctuary Utopia. 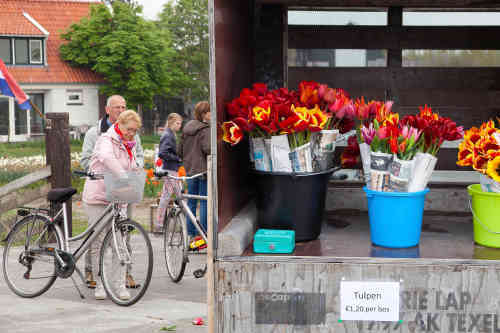 All these sights are near Hotel Molenbos. 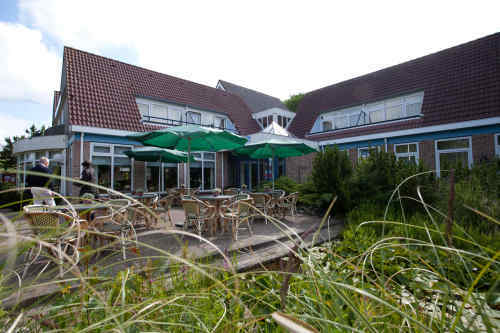 The hotel is situated diagonally opposite Golf Course De Texelse, making our hotel a very popular choice with golfers. From the hotel, you can walk straight onto the 18-hole golf course in the dunes! 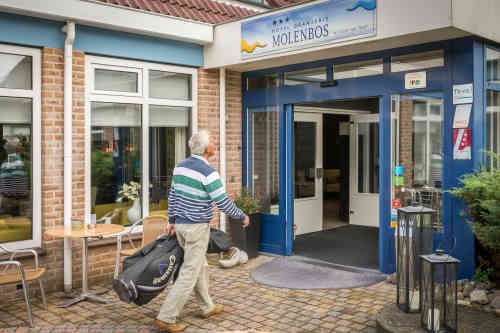 What’s more, as a guest of Hotel Molenbos, you receive a 30% discount on green fees. Or why not book one of our attractive (golf) packages? Hotel Molenbos has a small team of permanent staff, who provide excellent personal service. 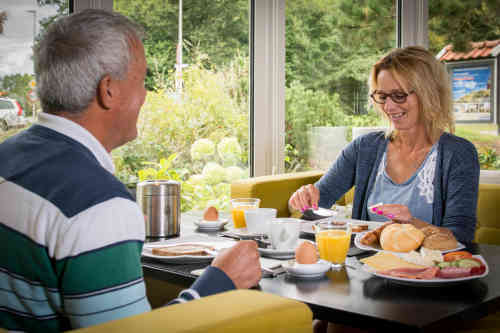 A buffet-style breakfast of fresh rolls and croissants, orange juice, fresh fruit, eggs and a huge selection of sandwich fillings awaits you at the cosy restaurant from 8:00 to 10:00 in the morning. A wonderful start of the day! 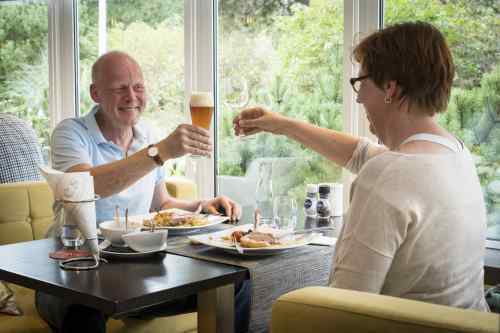 After a day exploring Texel, sample the culinary delights in the evening at the cosy hotel restaurant. 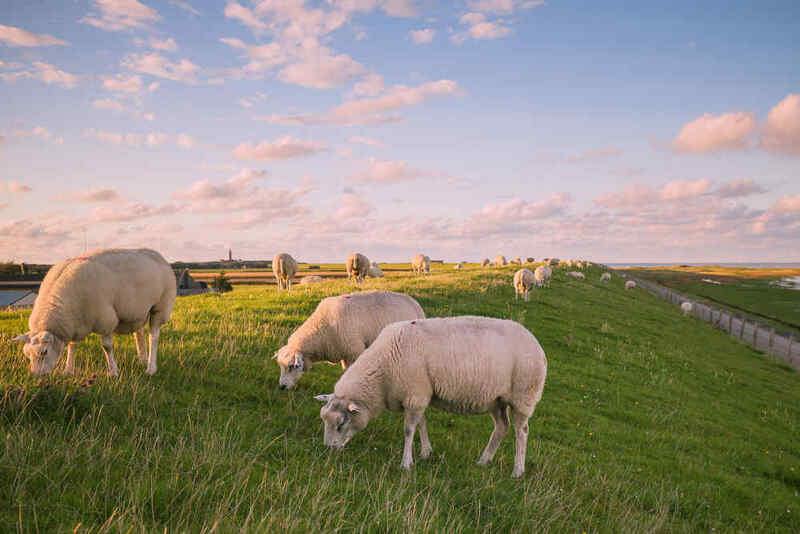 The kitchen brigade uses real Texel produce, such as the prized Texel lamb. 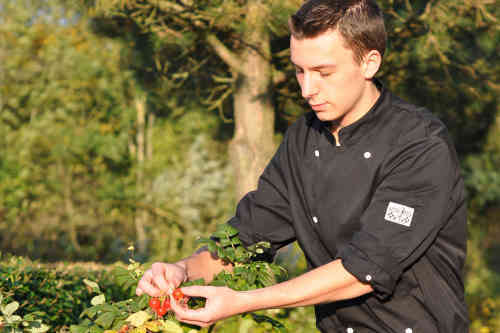 Some ingredients are even picked fresh from the hotel garden! Hotel Molenbos has a covered bike storage area with 6 charging points for electric bikes! Didn’t bring your own bike? No problem! 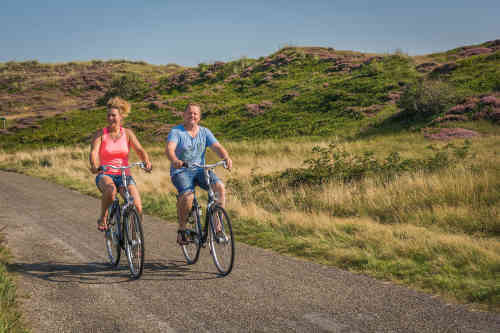 Simply hire a bike or an e-bike from us. Hotel Molenbos has its own car park where you can park your car free of charge. 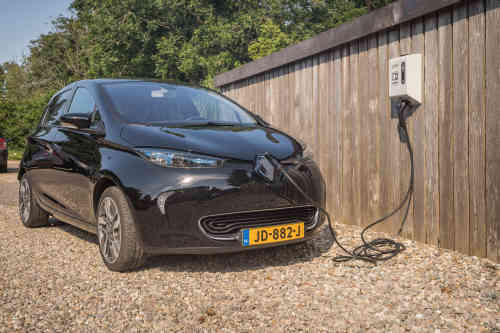 A charging point for your electric car is available at the car park from Hotel Molenbos. You can use your charge card for this. 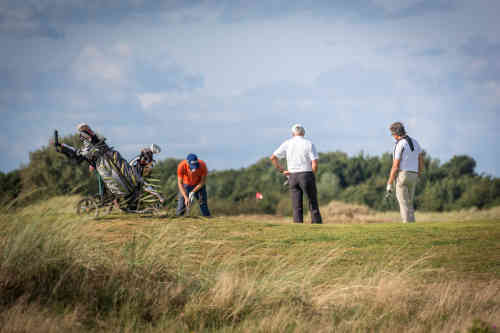 As a guest of Hotel Molenbos you receive a 30% discount on green fees at Golf Course De Texelse. The golf course is within walking distance of the hotel. 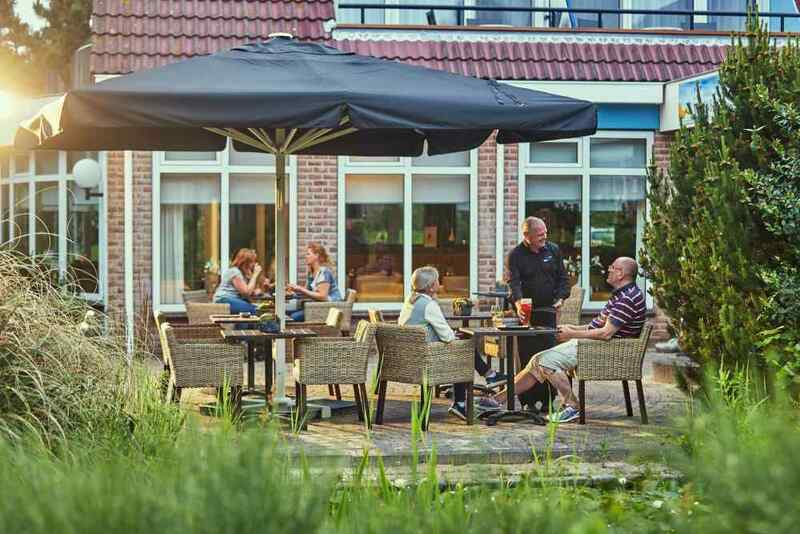 Hotel Molenbos is situated opposite Holiday Park De Krim. You can use all the facilities (some at a charge) the holiday park has to offer. Entry to the brand-new indoor and outdoor pool is included in your stay (if booked via De Krim Texel)!